If you’ve been looking for an upscale neighborhood in Greer lined with stately custom built homes, this is the community for you. Barrington Park homes for sale are in a lovely subdivision of Greer, South Carolina, accessible via the I-85 just off of Batesville Road. This community is set in a beautiful area just west of the horseshoe bend of the Enoree River. This is a medium sized neighborhood with just over 120 homes, laid out on quiet streets and large lots. This is the perfect location for people working in Greer or Greenville as it’s only a short commute from either community. Browse through homes for sale in Barrington Park, or read more about Barrington Park real estate. Barrington Park Real Estate began development in the late 1980’s and has blossomed into the wonderful community you see today. Many homes here have craftsman exteriors, with brick or stone siding. All homes in Barrington Park are custom built, with indulgent architecture designs reminisce of Queen Anne and Colonial inspired looks. However, Southern Traditional homes are the dominant style of home for this neighborhood. Homes are set on large lots that range from 1/3 to 1 acre; there’s ample yard space for ever homeowner in Barrington Park! Manicured lawns and mature shady trees add to the appeal of this lovely Greer subdivision. Barrington Park has fantastic amenities. Families with young children have access to great schools as Barrington Park has been assigned to Buena Vista Elementary School, Riverside Middle School and Riverside High School. 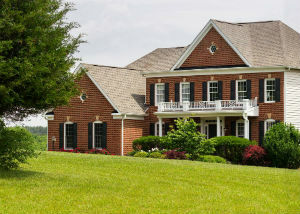 Residents of Barrington Park have access to a lap pool, clubhouse and tennis courts. The home owners association of Barrington Park is an integral part of this community as they run multiple clubs and host many community events. Interested in looking at homes for sale in Barrington Park? Contact us today to arrange a viewing!